The space above the toilet is often left unused and neglected in many bathrooms. 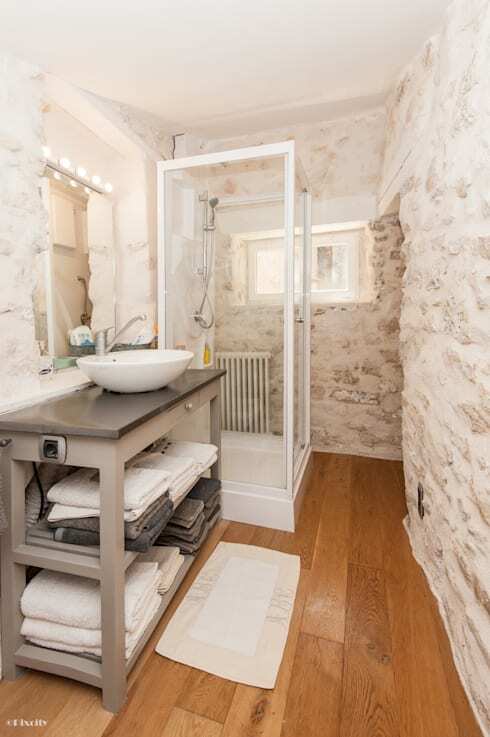 But it's become a popular trend to add high wall cabinets, also called bathroom étagère. This bathroom also has some beautifully custom-fit narrow shelves. Top-mounted sinks are increasingly popular. They also tend to create a more streamlined look in the bathroom and free up a little more space in the base cabinets. 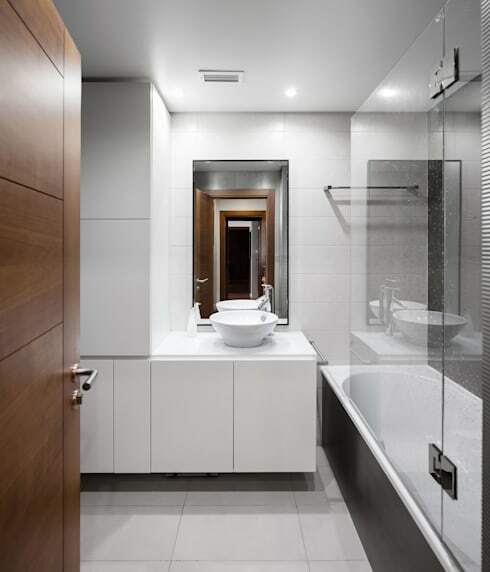 Good bathrooms are clutter free. So a couple of big hold-all baskets can be used to hide the inevitable collection of tiny tubes and bottles that plague many a bathroom. The corners of a room are often the most neglected storage spaces. Wooden corner shelves are a good choice for a bathroom because they are a neutral accompaniment to white walls and add natural warmth to the room. 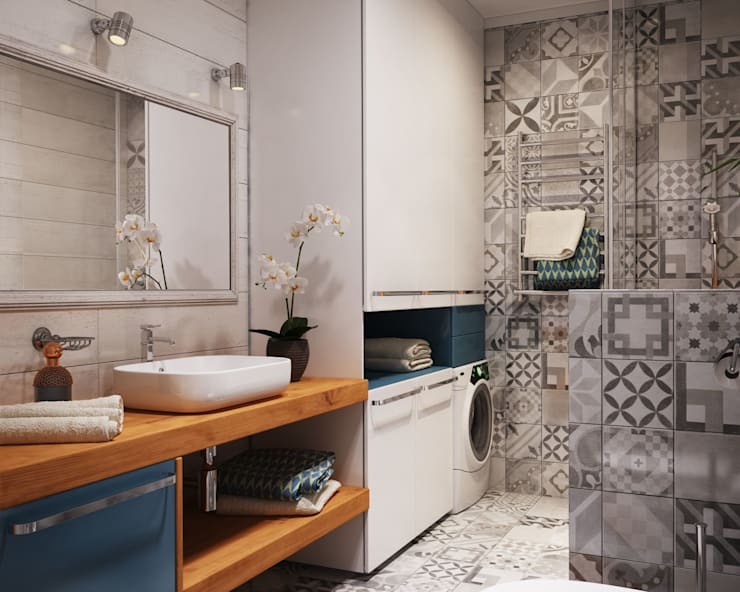 Towel racks don't necessarily need to take up wall space. Perhaps they could be stored on simple racks mounted under the vanity? Built-in units really make the most of those hard to reach corners in the room. Consider extending the vanity cabinet like this. Melamine cabinets like this create a streamlined clean look and provide a lot of closed storage space. 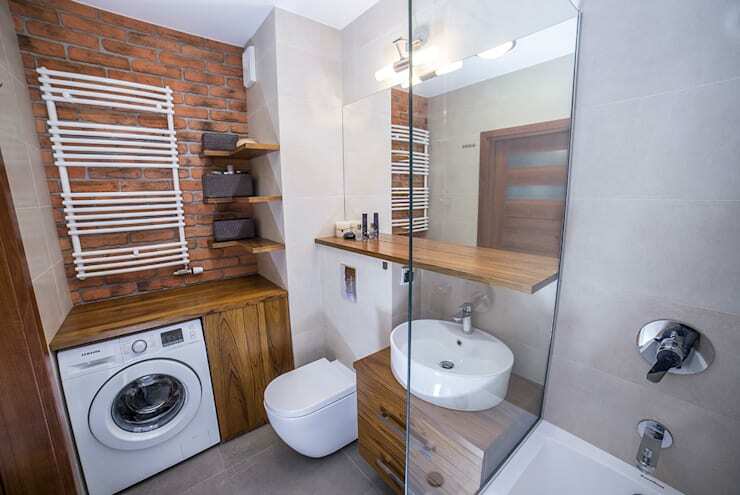 There are a lot of storage options to love in this bathroom. The open shelves are easy to use and the large closed storage cabinet makes the most of the height in the room. 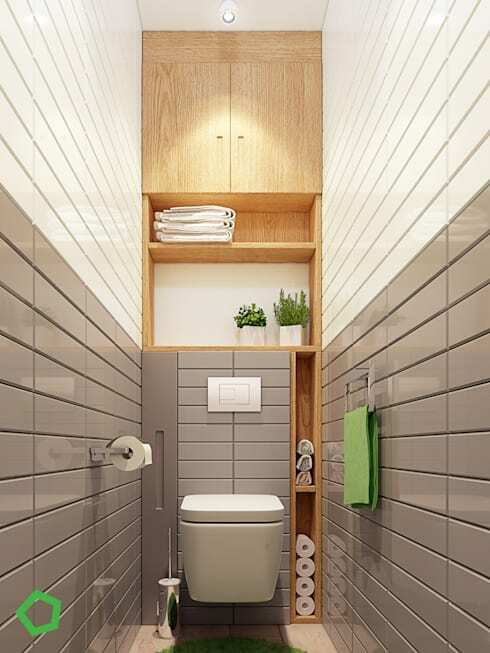 This kind of storage design makes the bathroom look far less cluttered than it might with a collection of little free-standing units. 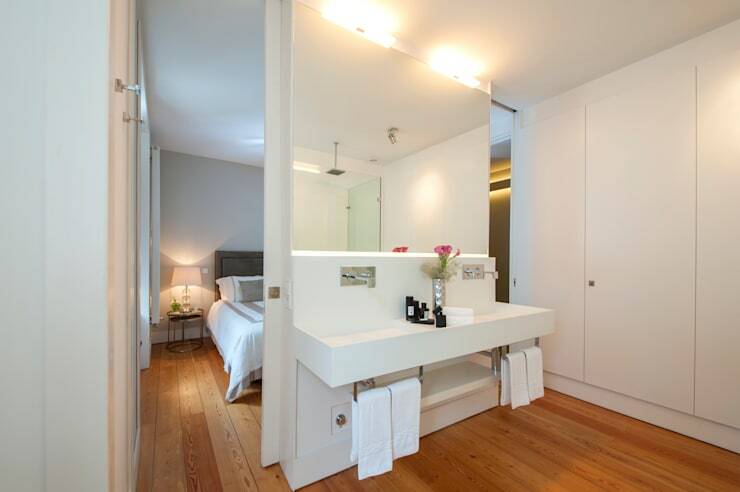 Bathrooms are often best kept simple. So the few items you do have on display should contribute to the theme. An old-fashioned big wicker basket is classic old standby option for very good reason. 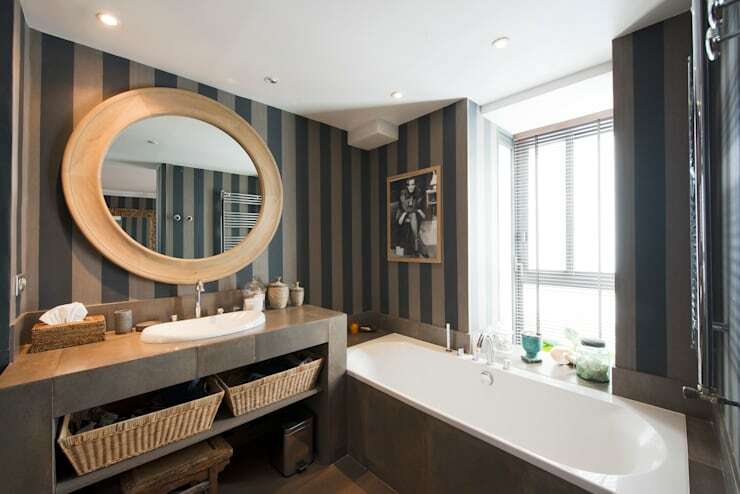 For more lovely home ideas, have a look at 5 small but fabulous bathrooms. Do you have any other bathroom storage ideas for us?